A few weeks ago Robert saw a blog post about the photography coursework by student Alison Owen. 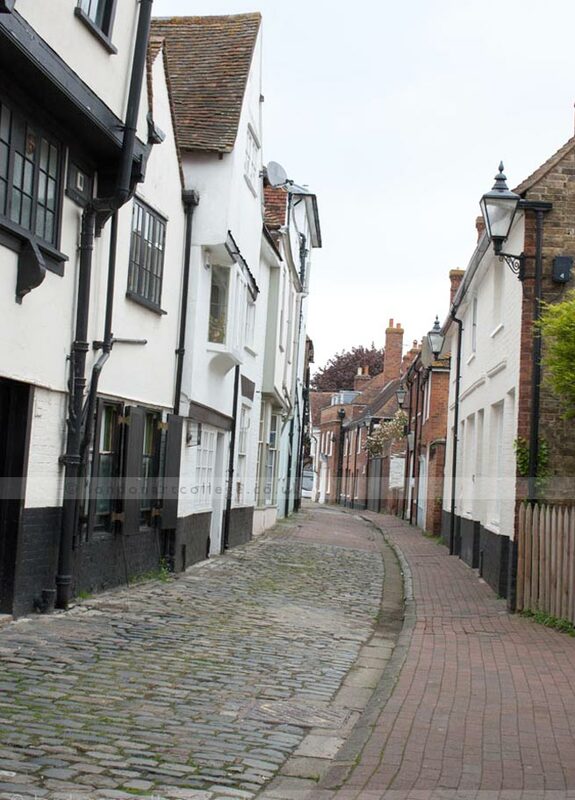 One photo taken for her assignment was when she visited Middle Row in Faversham, UK. Robert was immediately inspired by the photo! 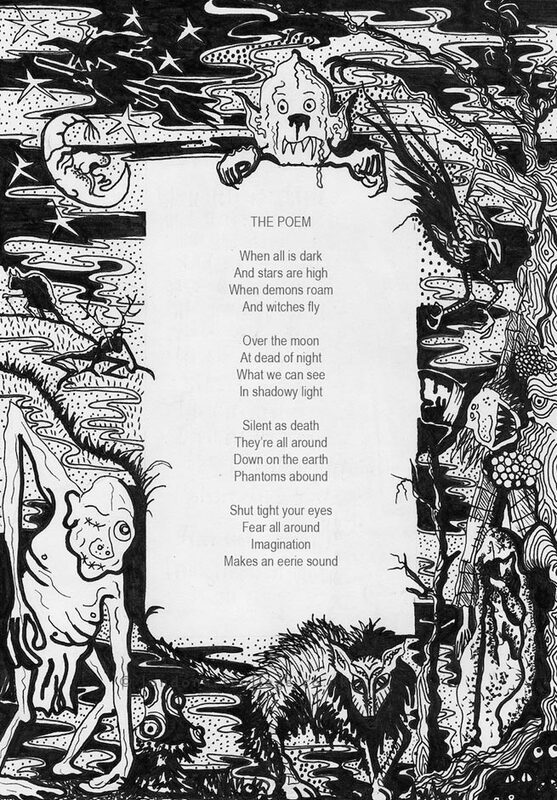 He contacted the college to see if Alison would give permission to create a drawing from it. Alison was delighted! 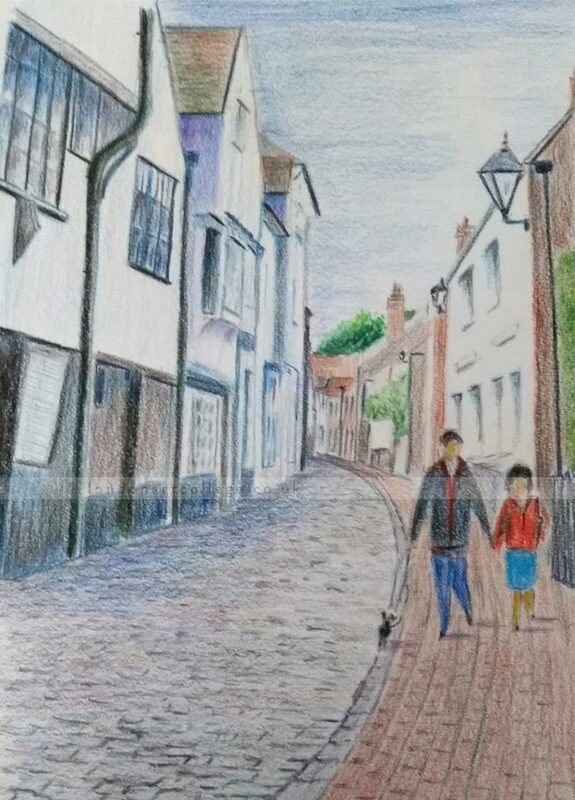 Robert has now completed his coloured pencil drawing of Middle Row, which is fantastic, and added two people and a dog to complete the scene. We have also included Alison’s photograph for our readers to see too. We love the fact that two students can be connected in this way, one helping the other! 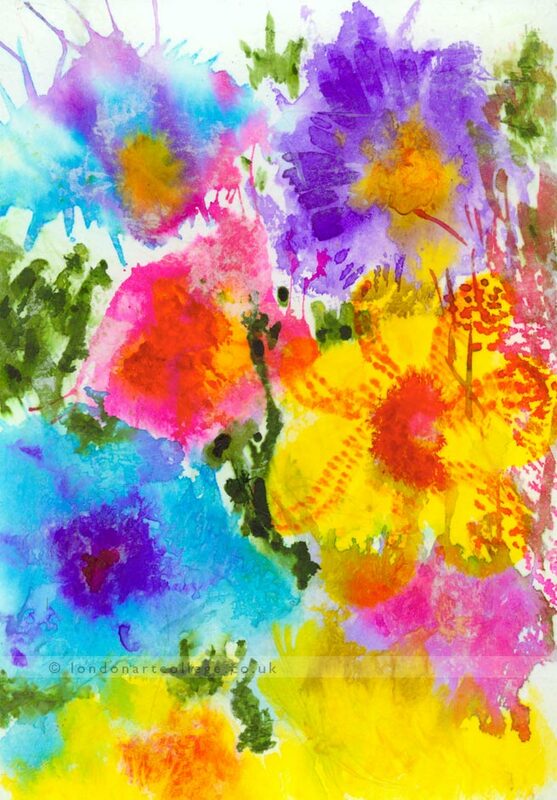 Student Brian Oatley has created a very happy and colourful watercolour painting for his coursework. The flower study below was created for an assignment on our Colour Awareness short course. Our online art course is great for students who want to learn about colour, how to mix colour and work out which colours work well with others. Students can use their choice of medium along with collage which is great fun. Brain has used a wet in wet techniques below and experimented with bright colours working out which colours mix well together and perhaps those which don’t. Our favourite colour mix in Brian’s painting is the beautiful turquoise blue and the deep purple centre. Which colour mix is your favourite? 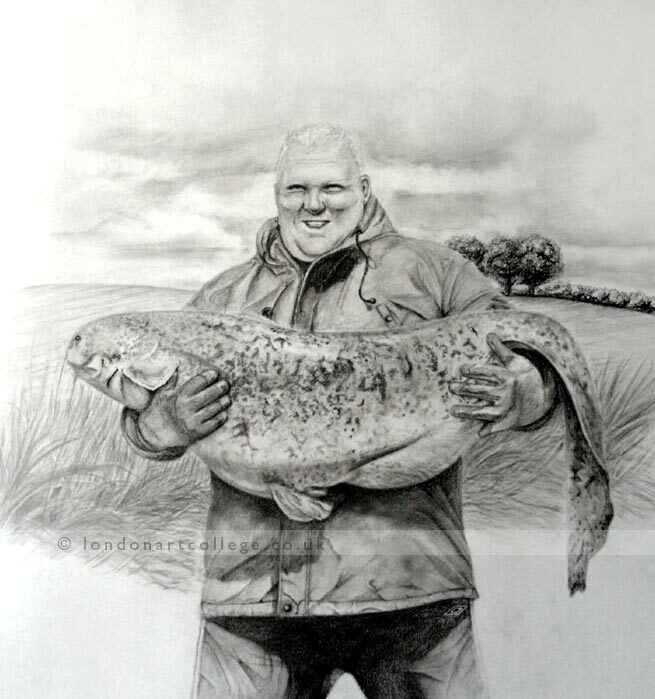 Heidi Seal has created a wonderful drawing of a man holding a huge fish for her Beginners Drawing Course. We are pretty sure that the chap didn’t stand to pose while Heidi sketched him! It was more than likely that Heidi drew the portrait from a photo. Drawing from photos is great practice and Heidi has done a superb job here capturing the man along with the proud look on his face. As well as working from photos we try to encourage our students to draw from life as well. It really helps to be able to translate three dimensional objects onto two dimensional pieces of paper. Working from life also helps to develop your observational skills too, which is really important for artists. Why not let us know what you are working on, we would love to see! Talitha Young – Young Artist! We have students of all ages working on our online art courses. Talitha Young is a young student who has produced some superb drawings for one of her assignments on the Drawing Course for Children. Aren’t they wonderful! 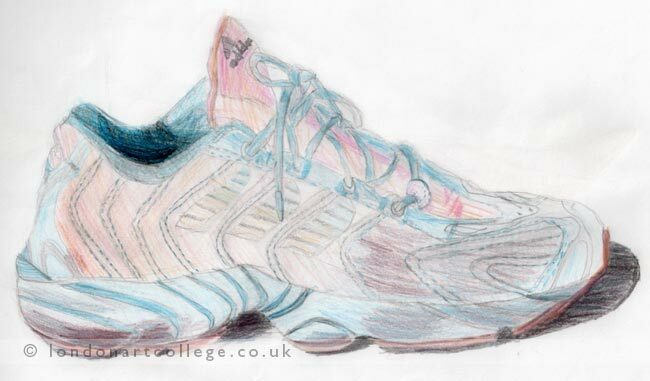 Talitha has first drawn her trainer and shaded it using coloured pencils. She has noted the direction of light and shade and incorporated a shadow both under the toe of the shoe and inside the shoe which helps to create a three dimensional object. 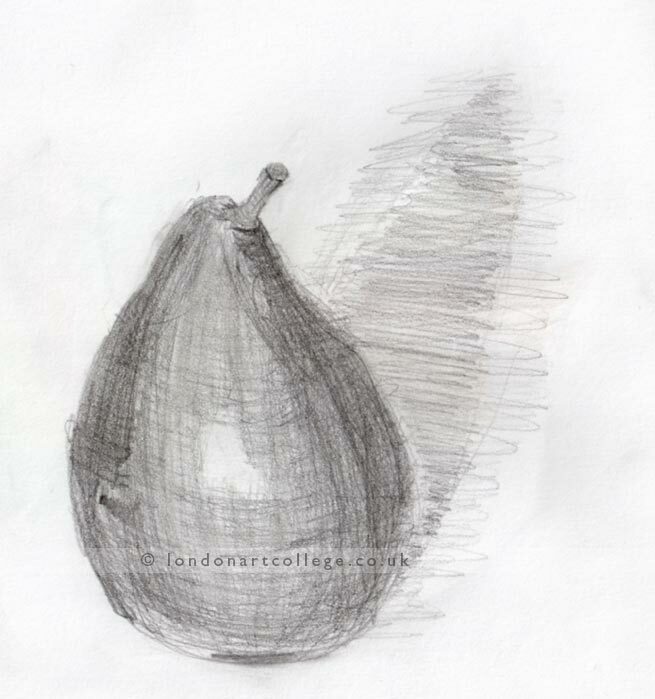 Talitha then drew a pear, which is a pretty tricky object to draw. It has an usual surface texture and we feel she has described it beautifully. Her direction of shading really helps to create a round solid object. In this drawing Talitha decided to shade it entirely in graphite pencil. She observed the shadow and also shaded the far side of the pear which would have been in shade, as the light is hitting the front. This has been shaded lighter to create a highlight. Some very advanced skills being used! 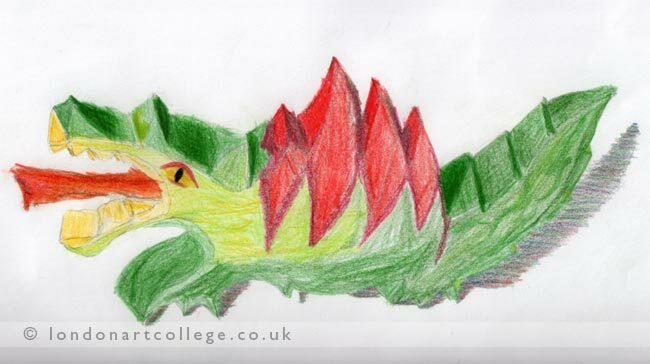 Finally Talitha shaded a wooden toy dragon using coloured pencils shading it with strong bright colours. All three drawings are absolutely superb and we think Talitha will go far in her art endeavours! Jill Bentley is currently working with tutor Maggy Roberts on our Illustrating Children’s Books Online Art Course. 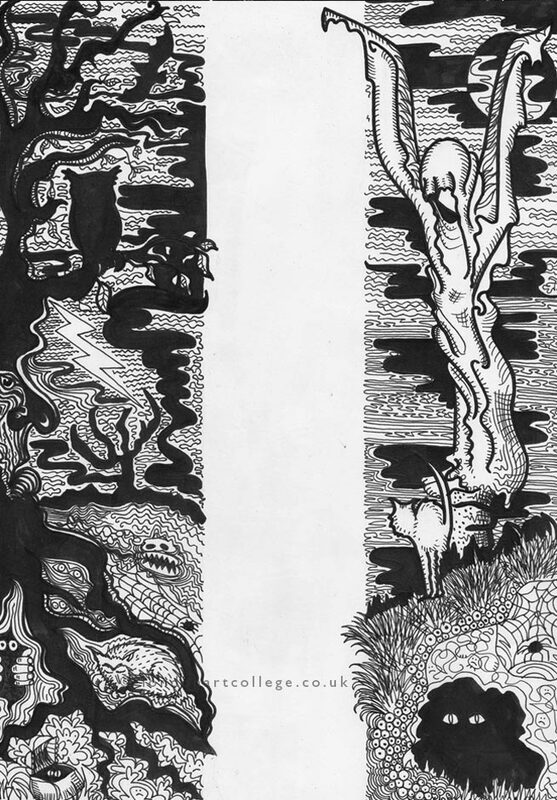 Jill has created some superb illustrations in her course assignments and Maggy wanted us to feature Jills ‘When All Is Dark’ illustration here on the blog. Jill has one final assignment to create and we are really looking forward to seeing the results! I have enjoyed this assignment, I enjoy line drawing in black and white and let my imagination roam on this one. 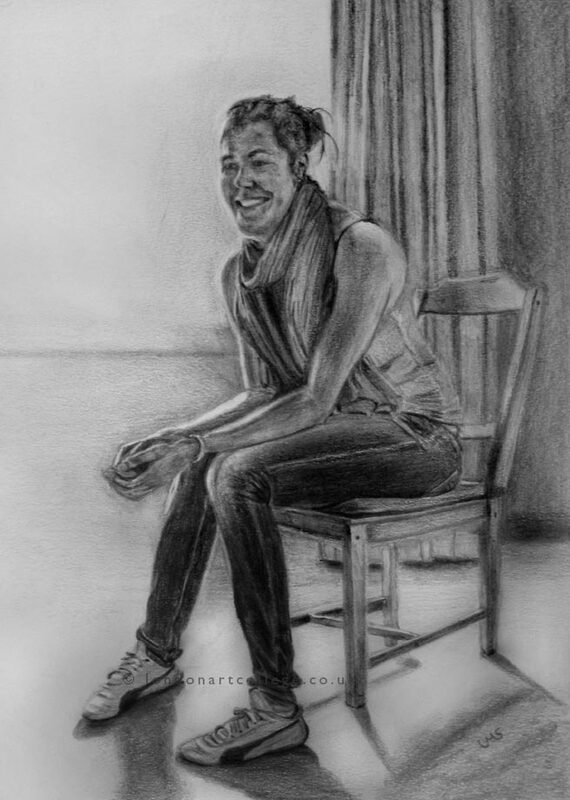 Ulrike Miesen-Schuermann created two drawings of her friend for a figure drawing exercise on her course. The two drawings were from one of the set assignments on our Drawing and Painting course. We love the tonal ranges Ulrike has used in both drawings, she has sat the model next to a window which created a lovely light source and plant of the shadows and highlights to play with in the scene. Ulrike’s website can be found here – umsarts.weebly.com whee you can see lots of Ulrike’s drawings and paintings. Definitely worth a visit as her work will inspire! 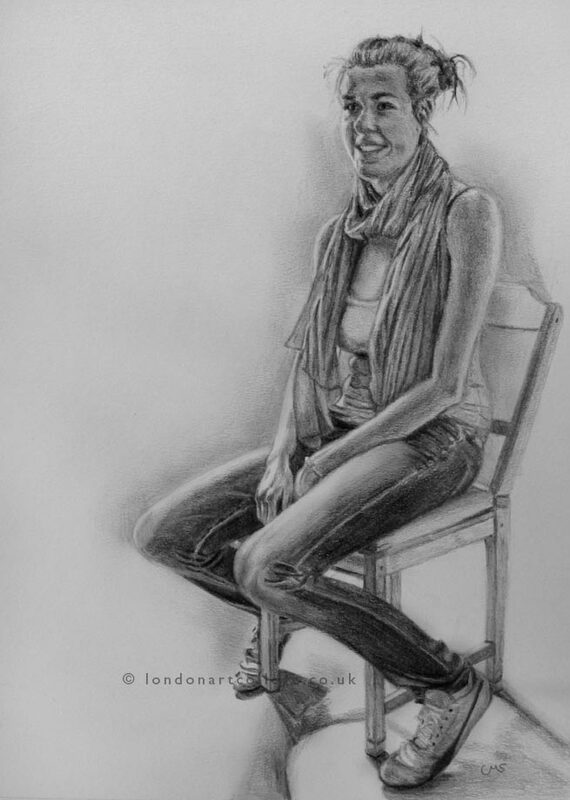 Sarah Wendy Olivia created this beautiful drawing for one of her submissions for her Beginners’ Drawing course. 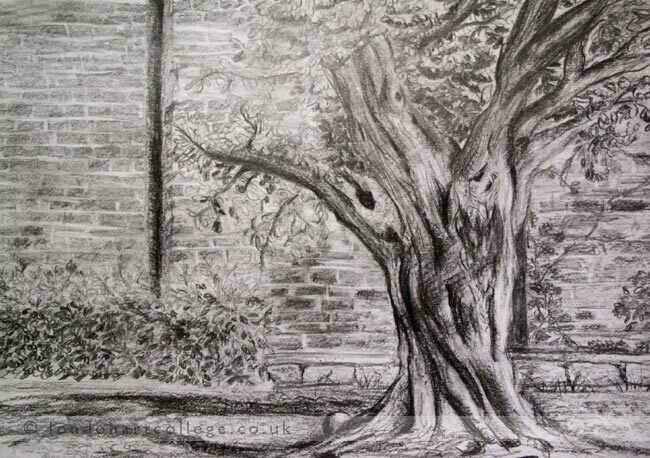 Sarah created a drawing of an old gnarly tree with a brick wall behind and has taken the time to add lots of detail and experiment with texture and tone. Using soft pencils she has created a superb study here, one which she should be thrilled with. If you would like to learn to draw, or you want to brush up on your skills, our short course could be perfect for you.Enjoy drawing outside? Perhaps this is something to challenge yourself with to complete over the summer months. 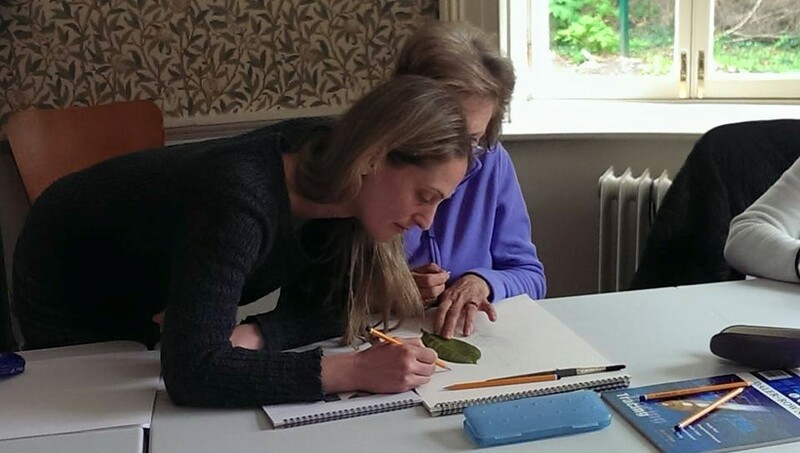 Find out more on our website – Beginners’ Drawing course. 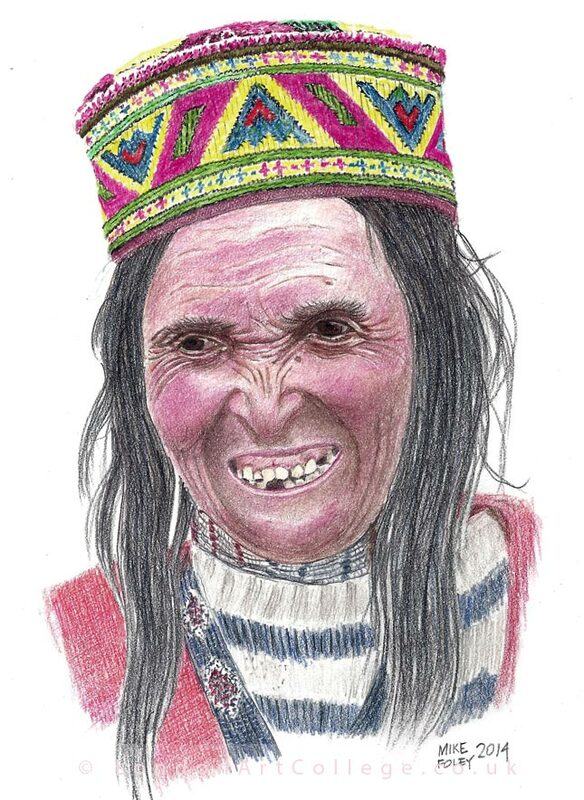 The last blog post of the week and it is a coloured pencil drawing by student Mike Foley. Mike has used some beautiful bright and bold colours in his portrait and we love the texture and intricate detail in the subjects hat. We have a Pinterest board which students might like to look at, dedicated to skin tones in coloured pencil. It might be interesting, not only for those students who are taking the coloured pencil course, but also the portraiture or general drawing and painting courses too. Why not follow our boards as we are often adding lots of resources for our students to utilise and learn from. If you have any ideas for boards, just drop us a line! 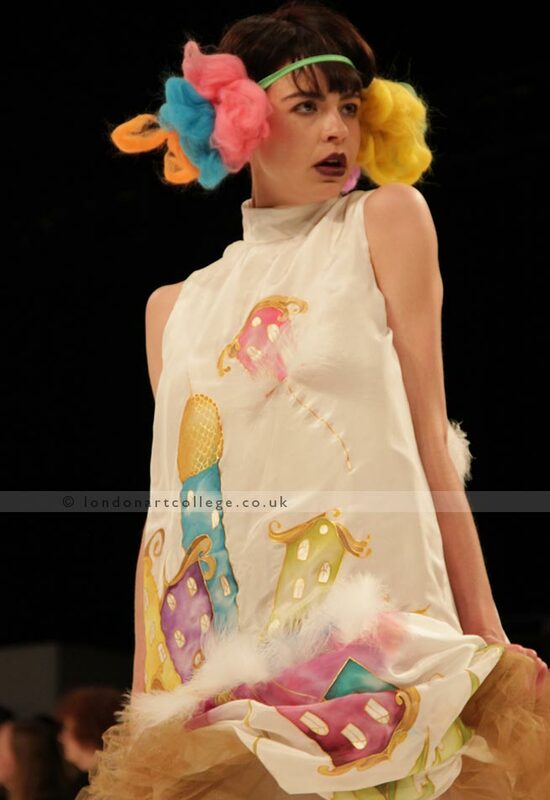 We would like to announce a new tutor to our ever growing team here at the London Art College. 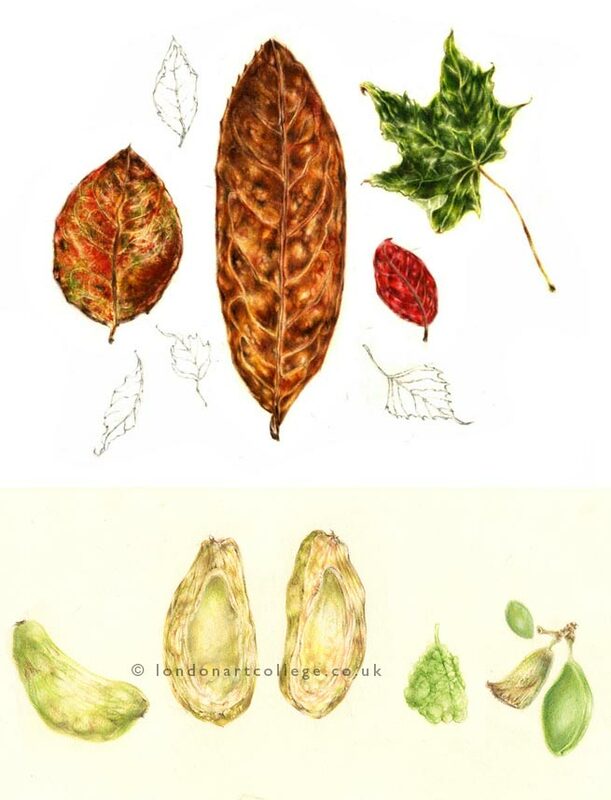 Ida Mitrani will be tutoring the Botanical Coloured Pencil Diploma and also tutoring some of our students who enroll on our Coloured Pencil Drawing Certificate course. 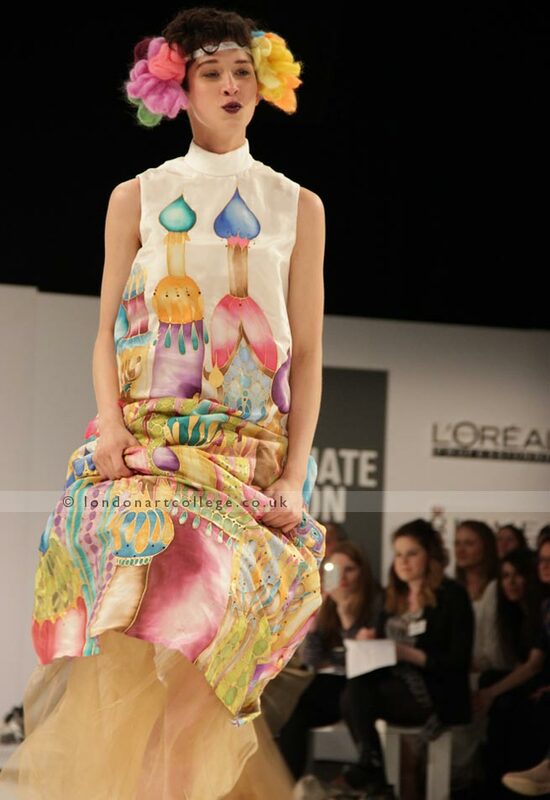 Ida is a professional artist and has tutored students for 12 years in various colleges, museums and art centres. She set up the first intensive Botanical course in Ireland in the Institute of Art and Design and Technology in DunLaoghaire, Dublin. 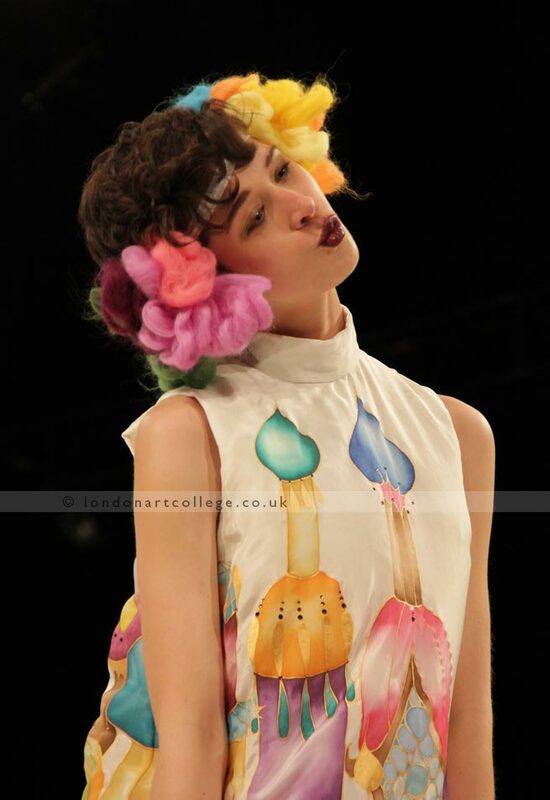 Ida is very excited to be part of the London Art College and is looking forward to interacting with her new students. She will be helping students develop their skills and be a guide in their coloured pencil journey, whether is in botanical art, still life, landscape, portraits or wildlife. You can find out more about Ida on our website Ida Mitrani – or visit Ida’s own website www.idamitrani.org and follow her on Facebook.